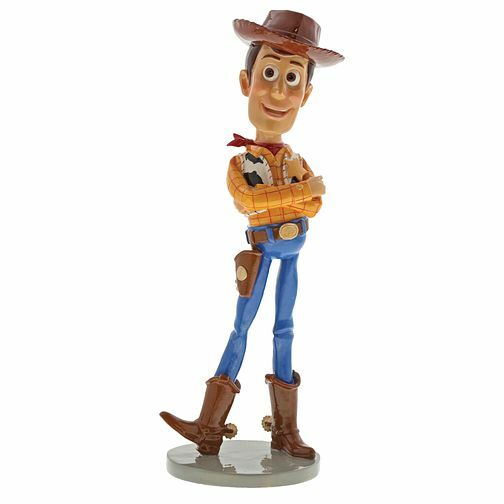 Celebrate the adventures of Disney with this collectable Woody figurine. Polished until he shines, this figurine is made from solid resin and is beautifully hand-painted to make every detail stand out. Wrapped up in an attractive gift box, he will be a charming addition to your shelf or display cabinet. Note that colours will vary from product to product. Intended for adults only. Disney Showcase Toy Story Woody Figurine is rated 4.5 out of 5 by 2. Rated 5 out of 5 by Anonymous from Xmas present Exact features as was expecting.Really pleased.Just hope my friend likes it.